Back in March, HTC has launched Desire 12 and 12 Plus. Now the company has launched one more variant of the Desire 12 series. 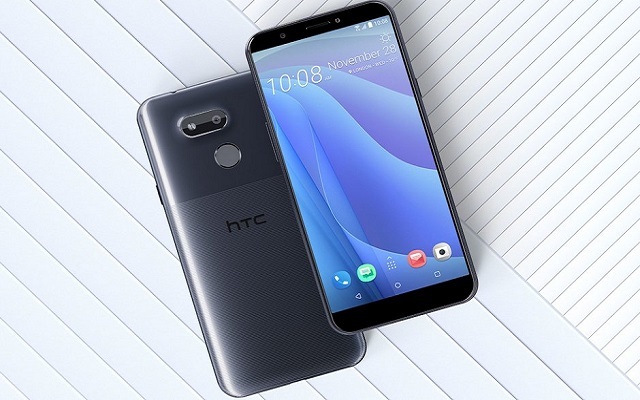 HTC Desire 12s now Debuts with 5.7-inch Display. However, the Desire 12s follows the same design language of the U12 Life. The HTC Desire 12s has a 5.7-inch display of HD+ (720 x 1440px) resolution and 18:9 aspect ratio. The phone does not have a notch. Moreover, the phone comes with Snapdragon 435 under the hood. The phone comes in two variants. You can get the phone either with 3GB RAM and 32GB storage or 4GB/64GB. Moreover, the users can also expand the storage by using a microSD card. For photography lovers. the phone has a 13MP camera with f/2.0 aperture and a LED flash. Also, the phone has a 13MP selfie camera but the lens is f/2.2. The fingerprint reader is on the back. The Desire 12s has a powerful battery of 3,075 mAh capacity. The new smartphone has Android 8.1 Oreo runs out of the box with HTC’s Sense UI on top. The phone is available in Taiwan in Black, Silver, and Red for $195 for the 3GB/32GB version. Whereas, the 4GB/64GB unit will be available in $225. There’s no word when the phone will make it outside of Taiwan. But we hope that it will soon be available in other markets.